Beautiful! 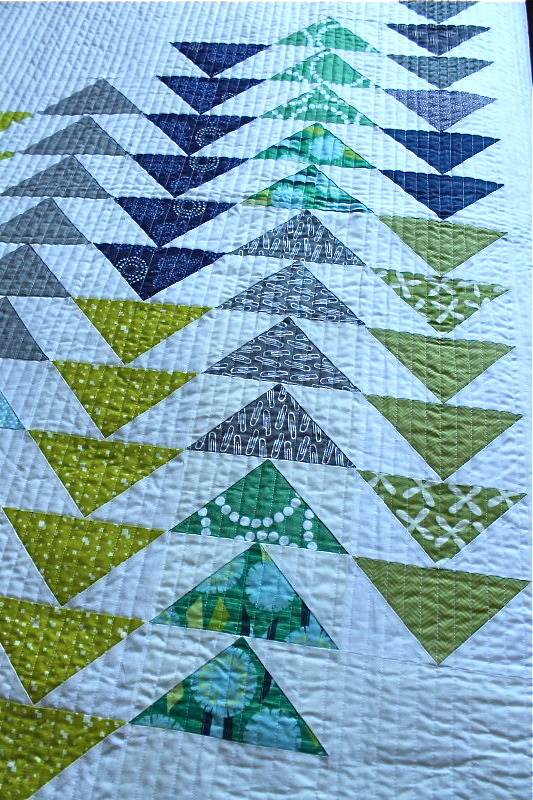 Love the dense quilting too! 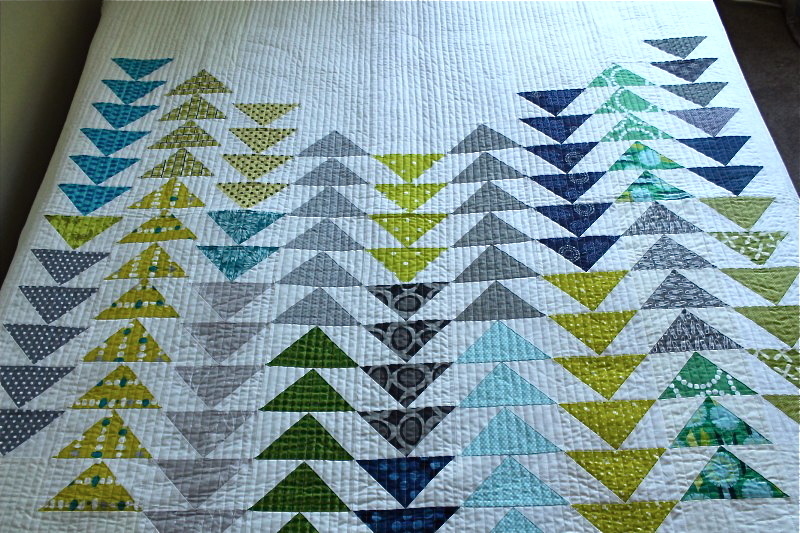 I love this quilt so much, the colors and the design!! Ah geez, I love this so much! 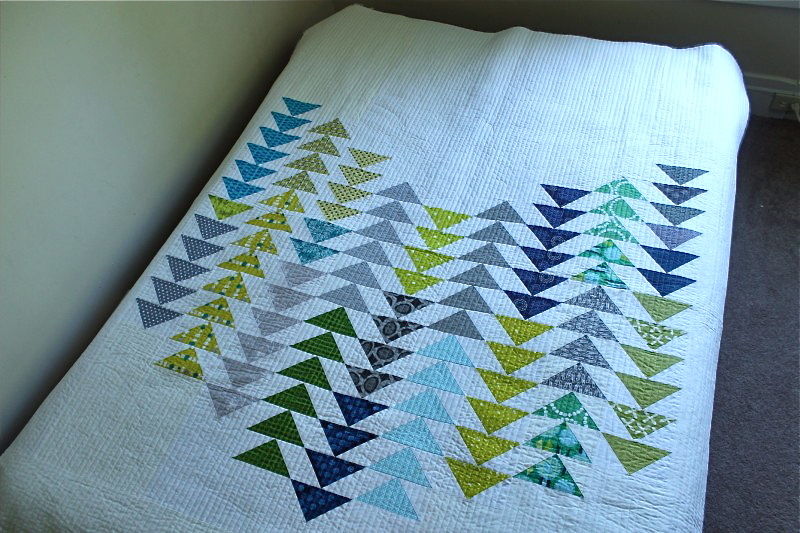 Those flying geese all in a row quilts are always super alluring to me. Nicely done! Stop it. I love this! I love the colors and design. 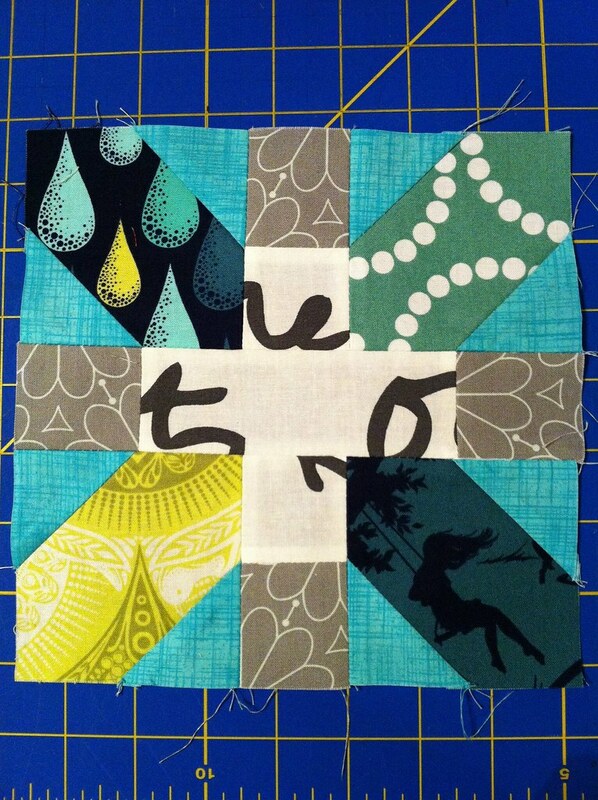 I have to choose a block for my bee next month. Perhaps I will use this idea? Hmmm, gets my mind thinking. Great work! Thanks for sharing your beautiful quilt. I love it! The colors and the white space make me happy. it is beautiful - great job! 6x3" strips?? This is really lovely. 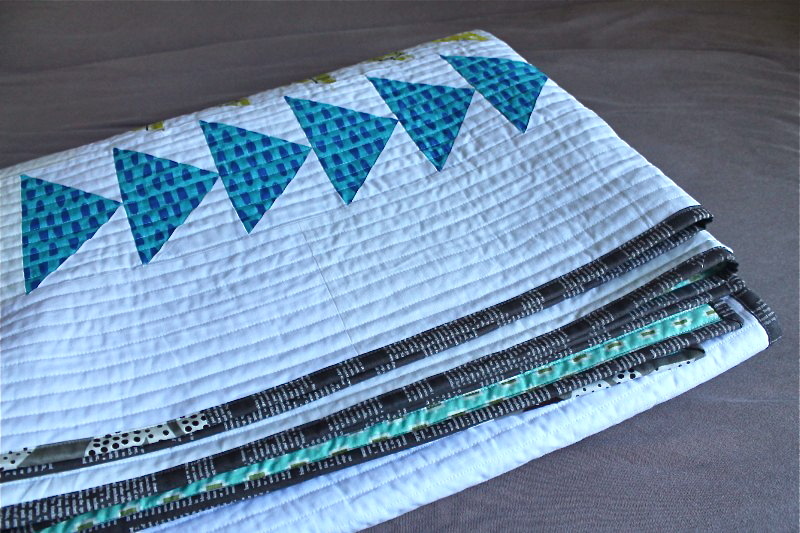 I really appreciate how its simplicity just makes it a stand-out quilt! 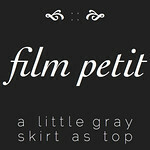 Love the palette too! Very nicely done! So, so lovely! 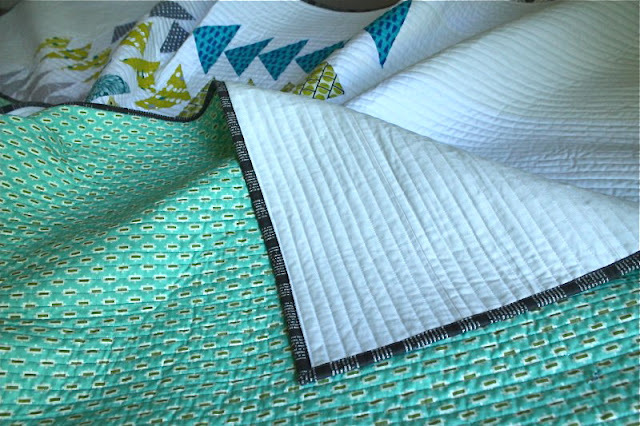 The quilting looks fantastic. That's a lot of love! I love everything about your quilt. Wonderful. love the colors and design of this quilt! it's beautiful. Whoa! I don't know how I missed this post (actually, I do, because I miss about 90% of all posts - you should see my blog list - whoops), but I LOVE THIS QUILT! It's so beautiful and simple and the colors are gorgeous! Nice work. Elaine huh? Never woulda guessed . . .